Qijuktaaqpait means �a large amount of fuel for a fire.� The plants in Nunavut have smaller, more tightly rolled leaves and flowers with petals that are a different shape than those in Labrador. 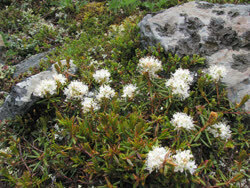 Some botanists have considered the Nunavut plants to be a different subspecies. The Inuit of Baffin Island used the stems as a sort of chewing tobacco, and the leaves were put in the actual smoking mixture. The leaves and stems can also be used to boil into a tea, although it should not be boiled for longer than ten minutes because of a chemical compound it contains. 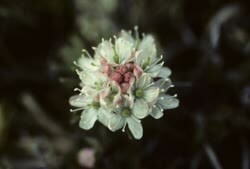 Even the flowers can be collected and added to the drink. Inhaling the vapours from this tea helps to clear congested nasal passages.